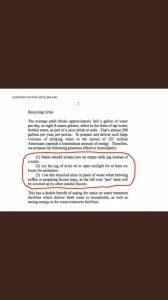 Mike Johnston is piggybacking on the radically absurd Green New Deal written in Crayons by freshman New York Democrat Alexandria Ocasio-Cortez. The socialist celebrity wants to spend trillions of taxpayer dollars to completely eliminate air travel, and guarantee economic security for people who say they just don’t feel like holding a job. Not wanting to feel left out, Johnston introduced his own Green New Deal on the same day and jumped aboard Ocasio-Cortez’s white coattails. Johnston is running against Republican U.S. Sen. Cory Gardner in the 2020 election. He was soundly beaten in the gubernatorial race by Jared Polis, so now it appears Johnson’s trying to run to the radical left of the radical left governor. 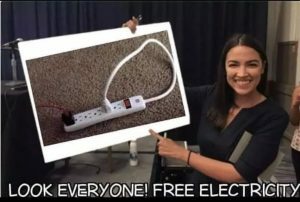 Ocasio-Cortez’s plan is to rebuild or refurnish every existing building in the U.S. to stricter energy efficiency codes, eliminate the fuels we actually use to power all those buildings, and replace airport with railroads. We’re not sure if the wind is going to push the railcars across the ocean, or if the sun will keep the tracks afloat. Maybe we’ll be taking future European vacations via jet-skies. To pay for it all, she proposes the Treasury simply print more money. Johnston’s only been in the Senate race for a week, but whoever advised him to copycat anything Ocasio-Cortez proposes, should be immediately fired.